Twitter user Bassist Tom uploaded this image of Sound! 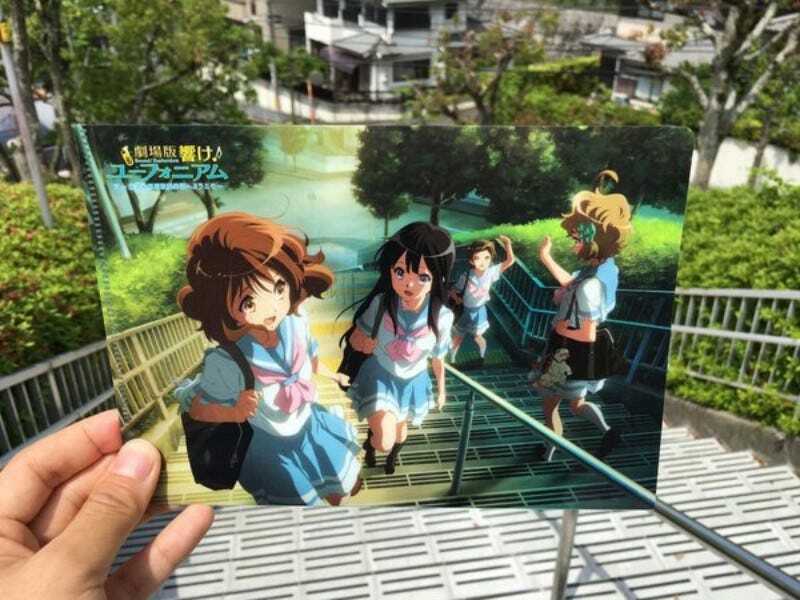 Euphonium art compared with its real-world staircase location. Cool, huh? This past August, Twitter user Kuro Buta Piggy also uploaded images that obsessively compared still images from the anime Free! with real locations in the town of Iwami. You can see more on Kuro Buta Piggy’s Tweet (below).